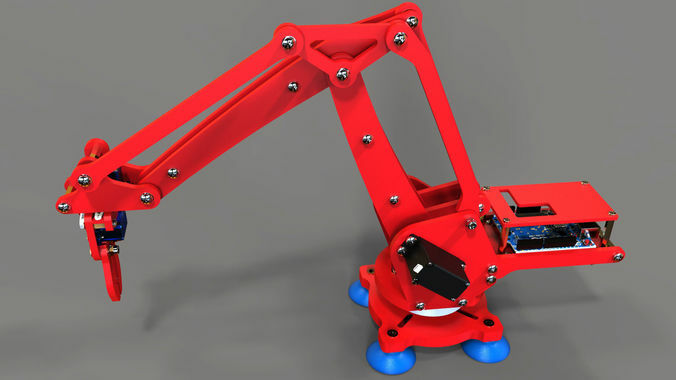 UArm is a miniature 4-axis parallel-mechanism robot arm, modeled after the ABB PalletPack IRB460 industrial robot arm. It is made up of laser cut acrylic or wood parts, powered by standard RC hobby servos, and controlled by an Arduino-compatible board. The basic design is Arduino-controlled, using 4 servos, with 4 degrees of freedom. Three servos on the base control the main movement of the arm and the last servo on the top moves and rotates the object. 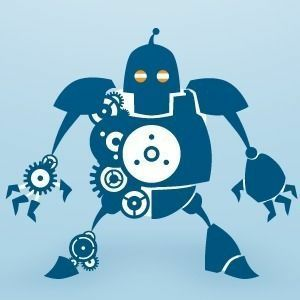 I created this Uarm copy for everyone how does have a laser cutter or a 3D printer available at home, so he can make his own for free. By the way if you want a metallic version from sparkfun for around 340$ (https://www.sparkfun.com/products/13663). I attached a pdf file contains assembly instructions & all what you need for this build. I can't get any information about the servo motors used in the original Uarm, So i used some cheap common servo motors (Towerpro MG995 & Towerpro SG90) instead of the original ones.